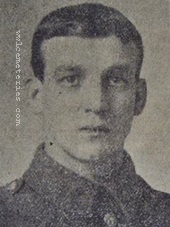 18th October 1915, aged 20. Son of Henry and Ellen Andrews, of Norah Farm, Hatfield, Leominster. 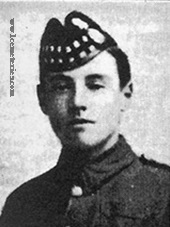 10th September 1916, aged 18. Son of Robert and Elizabeth Ellen Ashmore, of 6, Collins St., Bootle, Liverpool. At the time of his death the family were living at Corporation Farm, Colne. It appears that this was a sewerage farm and Reginald lived and also worked here along with his father. Son of Janie and the late Rev. George William Baile, C.F. British Volunteer from Brazil, South America, in 1914. 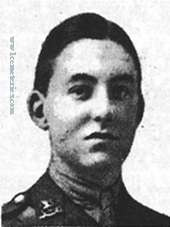 13th October 1915, aged 20. Son of John William and Elizabeth Bainbridge, of 115, George Lane, Lewisham, London. 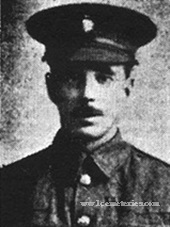 9th February 1916, aged 24. Son of Robert and Isabella Bell, of Gordonstown, Elgin. 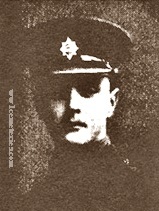 Came from Buenos Aires at his own expense to enlist, Sept., 1914. The Hon. 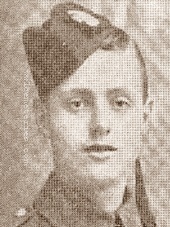 Maurice Henry Dermot Browne, M. I. D.
29th September 1915, aged 21. Son of the 5th Earl and Countess of Kenmare, of 66, Cadogan Square, Chelsea, London. 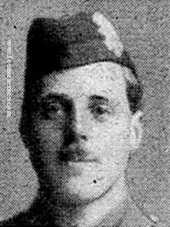 Colin Napier Buchanan-Dunlop, D. S. O., M. I. D.
14th October 1915, aged 38. Whitley Rise, Reading. Gained Brevet of Major in the South African Campaign. Born at Aldershot. 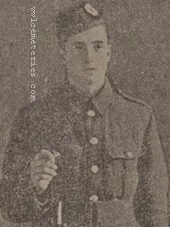 Robert was born in Barry, South Wales but enlisted in Essex originally, and with many others was given a railway warrant to take him to Northampton, where his number etc was issued. He entered France in May 1915. The Northants was a service Battalion whose job was largely trench digging and laying communications lines, but they also were engaged in combat. The Northants regiment were in action at Ypres in June 1915, and later saw action in the Battle of Loos, from September 1915. 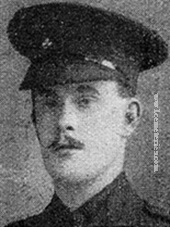 Robert was killed in action 100 years ago today 22 Nov 1915.The history of the Battalion is chronicled in the book "Kitchener's Pioneers - The Story of one Battalion formed from Kitchener's first 100,000"
25th August 1915, aged 18. Son of Donald Cameron and Agnes Dempster Cameron of "Mosswell," Prestwick, Ayrshire. Native of Blacklunans, Blairgowrie, Perthshire. 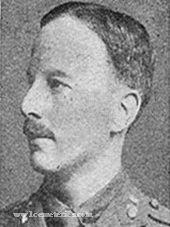 Son of Sir Everard Cayley, 9th Bart. and Lady Mary Cayley, of Brompton Hall, Yorkshire. His father also died on service and is buried at Brompton (All Saints) Churchyard, Yorkshire. 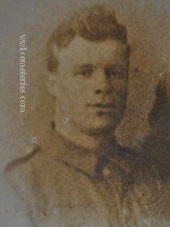 10th June 1916, aged 19. Son of Mr. and Mrs. Alexander Chalmers, of 17, Glebe St., Dundee. 4th September 1915, aged 31. 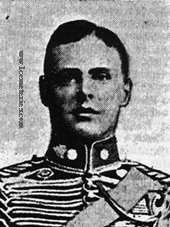 Son of Charles Edwin and Esther Cook, of Peckham; husband of Lucy Ellen Cook, of 50, Sydney Square, Latona Rd., Glengall Rd., Peckham, London. 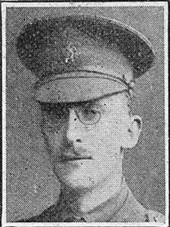 26th April 1916, aged 35. Son of Mr. and Mrs. R. E. Cooke, of Grendons, Teignmouth, Devon. 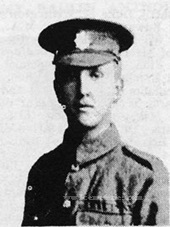 16th January 1916, aged 25. Son of Robert and Elizabeth Coulter; husband of Esther Coulter, of 31, Grimshaw St., Burnley. Prior to enlisting he worked at Messrs. Cooper's Rope Works, Hill Top, Burnley. he was wounded on the 16th and his comrades told his wife that he died 8 hours later. He was the father of 1 child.